The mind is a beautiful gift given to us by nature. It is medically defined as “The seat of consciousness that originates in the brain which directs and influences mental health and behavior“. The innermost of man consists of his ‘Will and Understanding’. Our thoughts, perceptions,emotions, memory, desires, our understanding of situations around us and how we react to it all compose the activities of our mind. Our mind is what gives each of us an identity, and yet connects us to the universe. This happens through the activation of the Neuro-endocrinal system. When we are stressed or anxious, the body releases the stress hormone, Cortisol. This leads to palpitations, tremors and high blood pressure. Prolonged exposure to Cortisol in chronic stress can lead to heart disease, memory impairment, digestive disorders, sleep disorders skin conditions like Psoriasis and Eczema getting exacerbated.Similarly at times when we are happy, and positive, feel good hormones like Dopamine, Serotonin, and Oxytocin are released which promote a sense of well being and have a relaxing effect on the body. Disorders and physical problems which occur due to the influence of the mind on the body are known as “Psychosomatic disorders“. These account for more than half of the cases seen by general physicians.There are some disorders which are well proven to be aggravated by the mental state of the patient. A few examples are Back Pain, Irritable bowel syndrome, Gastric ulcers, Insomnia, Eczema, Psoriasis, Asthma, Migraine, Hypertension and Heart diseases. Even if you have been diagnosed with any of these conditions it’s never too late to take the necessary steps to mitigate the problem. Never underestimate the power of the mind! Be positive – Look at the positive side of life, laugh more, and expect only positive outcomes. Optimistic people have a longer life span, have more resistance to illness and tend to cope with stress better than the less optimistic ones. Spend time with your significant other and close family and friends. Hugging often releases the hormone Oxytocin (also known as the cuddle hormone) which is associated with feelings of love, trust and bonding. Exercise regularly – Recent studies show that walking regularly reduces cognitive decline in healthy older adults as well as in those with congnitive impairment. The more people moved, the higher their brain volume, a marker for brain health. Walking has also shown to increase the size of the hippocampus, an important structure in the brain which plays a role in long term memory and spatial navigation. Aim to walk atleast 6 miles a week or to take a minimum of 10,000 steps in a day. Sleep well – Try to get at least 7-8 hours of quality sleep every night. In this fast paced world with the need to be connected 24/7, we tend to neglect our sleep the most. Sound sleep helps the body to repair itself, prevents depression, keeps our memory sharp, improves mood and prevents stress among the many benefits it provides. Develop hobbies and enjoy recreational activities. Hobbies help us develop new skills and identify talents we didn’t know existed within us! Mental stimulation leads to the formation of new neural pathways in the brain which prevents cognitive decline and improves brain function further. Also having hobbies and activities we are passionate about brings a sense of calm, achievement, physically lowers stress, blood pressure and improves the heart function. Meditation – Meditation is known to have a blood pressure lowering effect. People who meditate regularly have a longer attention span and deal with stress better than others. Ten minutes of meditation in the morning on rising and before retiring to bed, should set the pace for the whole day. Homeopathy provides immense benefits in disorders of Psychological origin and Psychosomatic disorders. 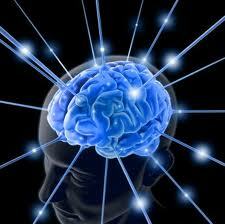 It has always emphasized on the importance of mental and emotional states in the development of diseases. The noted Homeopathic physician, Dr. Kent in his lectures mentions “Man is prior to his organs; parts of the body can be removed and yet man will exist“. The patient as a whole and the significant events which have affected their life is taken into consideration when making a Homeopathic prescription, and the treatment is aimed at alleviating both the physical as well as the mental states. Homeopathic remedies exert their influence on the mind in a positive way and restore it’s balance gently. *Results may vary for each case. The information provided above is to promote understanding and education of Homeopathy. It is not meant to be a substitute for medical advice or diagnosis. Always inform your physician if you are taking Homeopathic treatment.